Global Tools & Machines coil turnover units are designed to eliminate coil damage and injuries when flipping over metal coils. 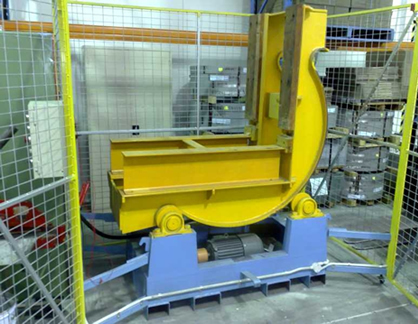 Simply place your palletised or non-palletised coil stack onto the rotating table. In no time at all you can have your coil upright and ready to load onto your coil car or uncoiler decoiler. Standard models are available and we can also custom build coil turnover machines to suit your requirements. It’s the safest way to flip over your coils.